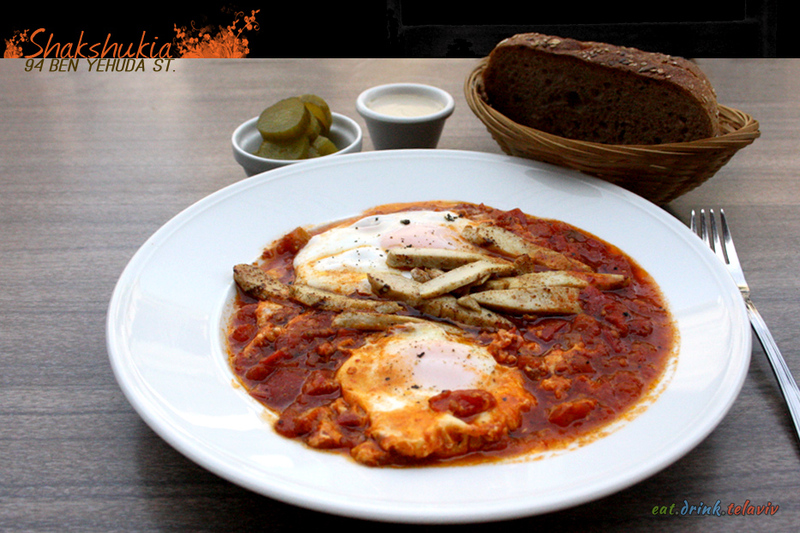 Shakshukia – שקשוקיה. 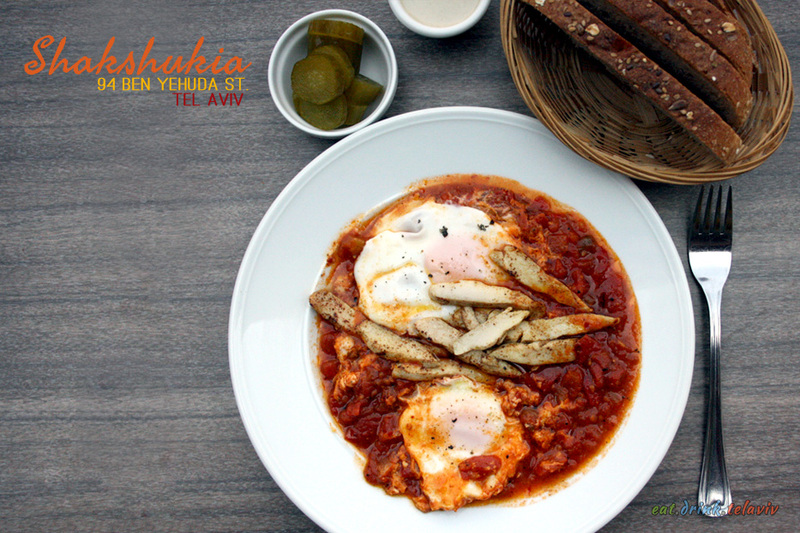 This Tel Aviv concept restaurant on Ben Yehuda delivers incredibly delicious and simple shakshuka – a spiced tomato and poached egg dish that was likely brought to Israel and ensconced itself into Israeli culture by the Tunisian Jews who immigrated here. Along the street where sandy hues, and sun-bleached buildings are the norm, Shakshukia’s calling card is a bright egg-yolk yellow and tomato red sign, with traditional Tunisian tiling decor. 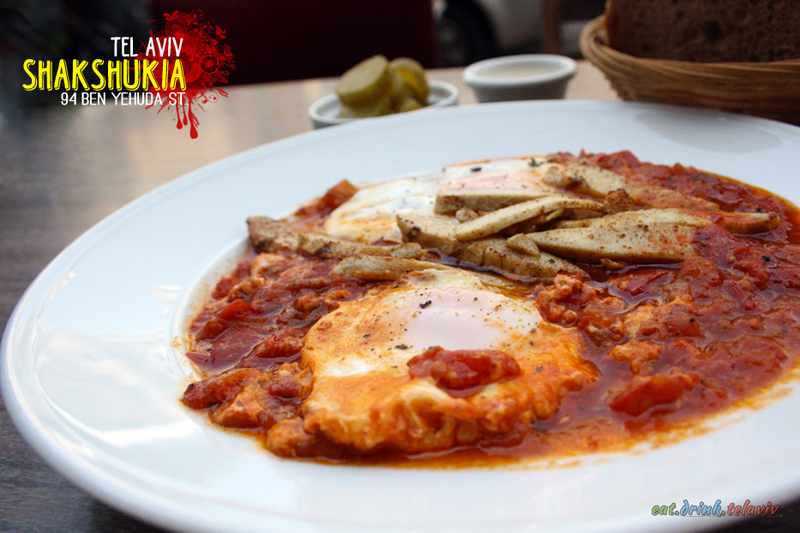 It’s selling feature is some of the best shakshuka in the city. 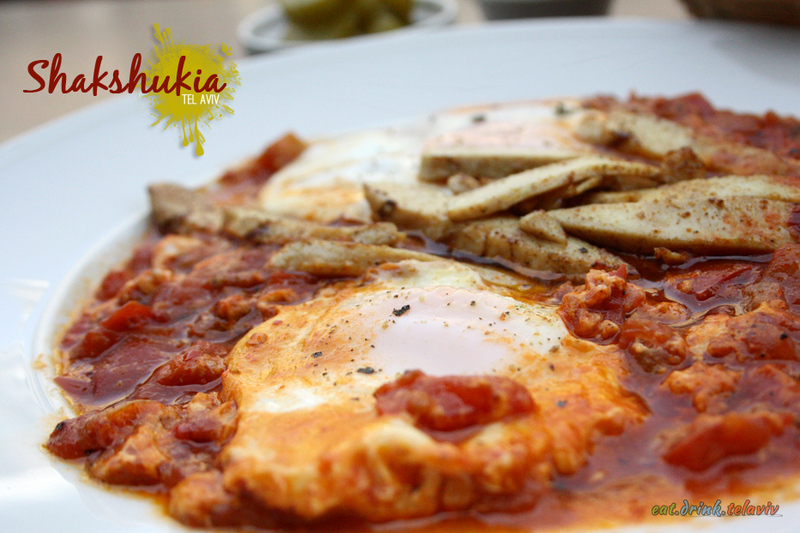 Shakshukia’s owner Sharon takes immense pride in the shakshuka he makes, simply refusing to compromise on quality of ingredients, and preparation. He also has this uncanny perhaps even scientific understanding of tomatoes (a tomato whisperer if you will) which allows him to create a consistent product of uncompromising taste. 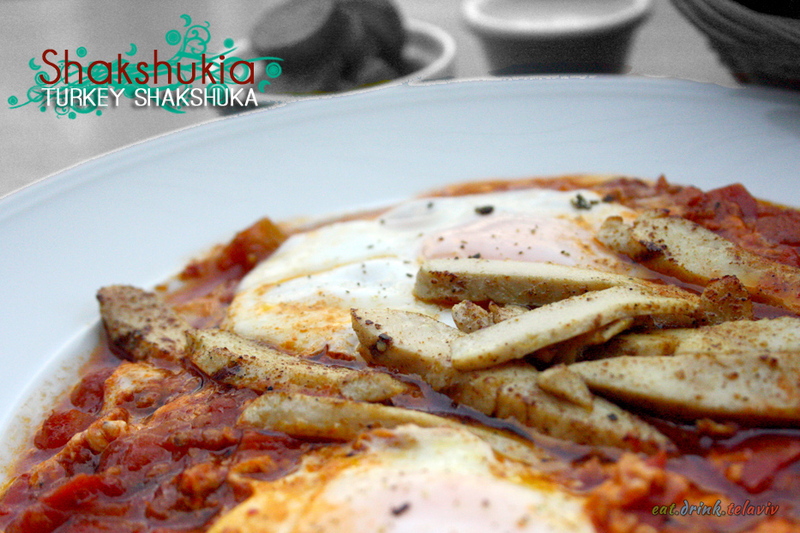 Sharon is adamant about what he offers at Shakshukia – shakshuka, shakshouka and more shakshooka! How ever you want to spell it, the Turkey Shawarma Shakshuka ordered is delectable. The dish defies expectations; it is light, loose, spicy and flavourful. (Unlike some shakshuka offered in the city where a thick tomato paste and eggs makes it heavy impossibly filling.) 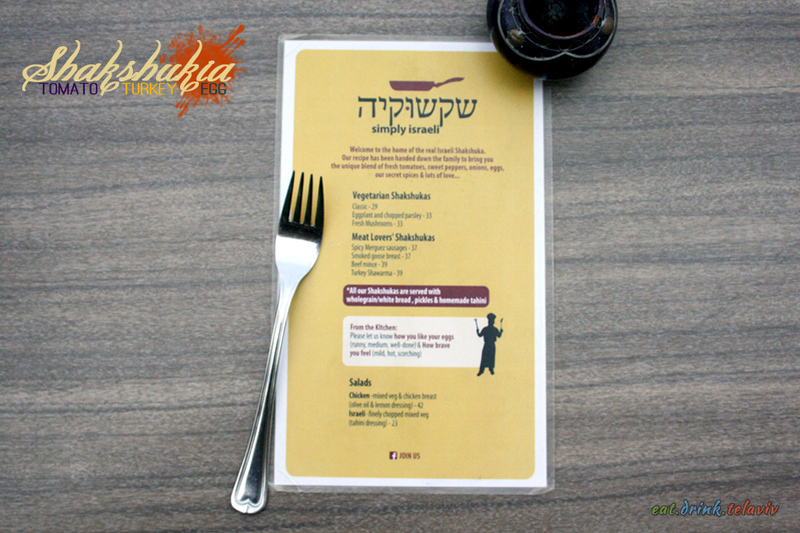 Although the additional 10NIS for the shawarma does seem a bit high given the sparse amount, you will soon appreciate the balance created in the dish. Shukshukia aims to satisfy your hunger without leaving you feeling over-stuffed. Sharon takes his love of shakshuka seriously but does try to have a bit of fun: Shakshukia offers five levels of spiciness and if you indulge in the spiciest dish and finish the meal in five minutes – it’s free. 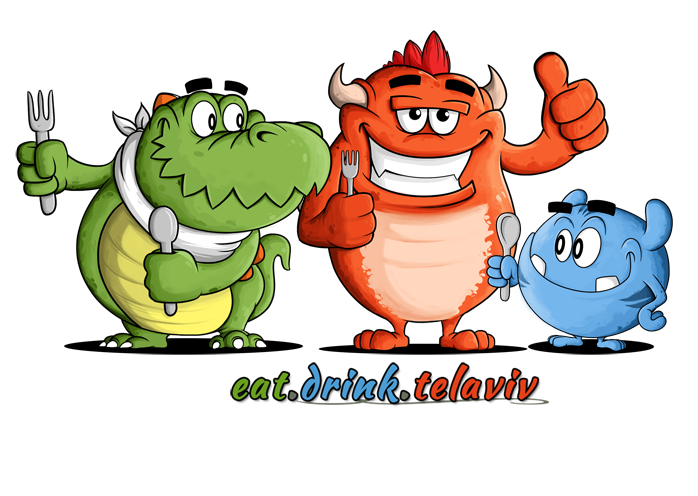 Check out Sharon Tahori’s Meet.Talk.TelAviv Interview HERE. While Tel Aviv and Yafo (Jaffa) has some fairly popular and more “famous” shakshuka joints (some with a PhD), Shakshukia’s owner Sharon feels they have lost their focus on quality. This concept store is different he assures. This Tel Aviv restaurant’s only focus is this one simple Tunisian dish, meant to me enjoyed sitting down with some bread, and never on-the-go.